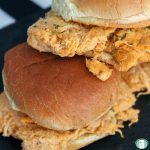 The first time I made this shredded buffalo chicken on buns for dinner, I didn’t get to taste it. My kids were so in love with it, that some of them went in for seconds and thirds before I realized what was happening. When I went to scoop up myself, there was nothing left! Looking at the inside of that empty crock pot could have made me angry, but instead, I was thrilled! I love when I find a meal that every single one of my kids will eat with no complaints. We had a winner on our hands! I was slightly less thrilled with the notion of warming up leftovers for myself for supper, but I knew I would get to try it the next time. I also knew how easy it had been to put together. It was an easy decision to put it into the regular freezer meal rotation. This recipe takes minutes to throw together, so it’s easy to make several at a time so that you always have one on hand to pull out of the freezer. 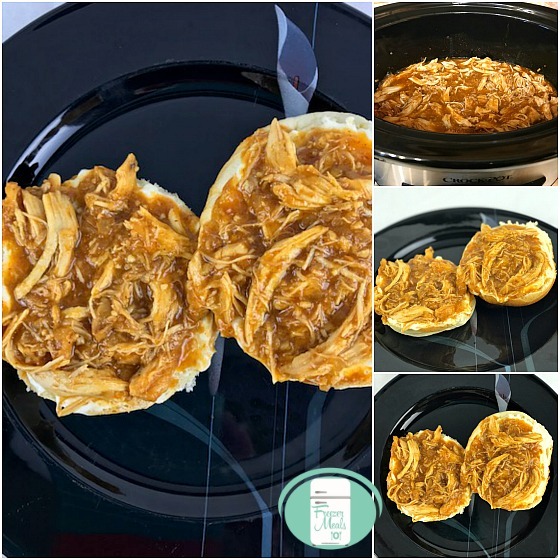 I love freezer to slow cooker recipes because they combine two things that make getting supper on the table easier and faster. Put the chicken breasts into a large resealable freezer bag or silicone reusable freezer bag. Dump the other ingredients into the bag. Take out any extra air. Seal and freeze. 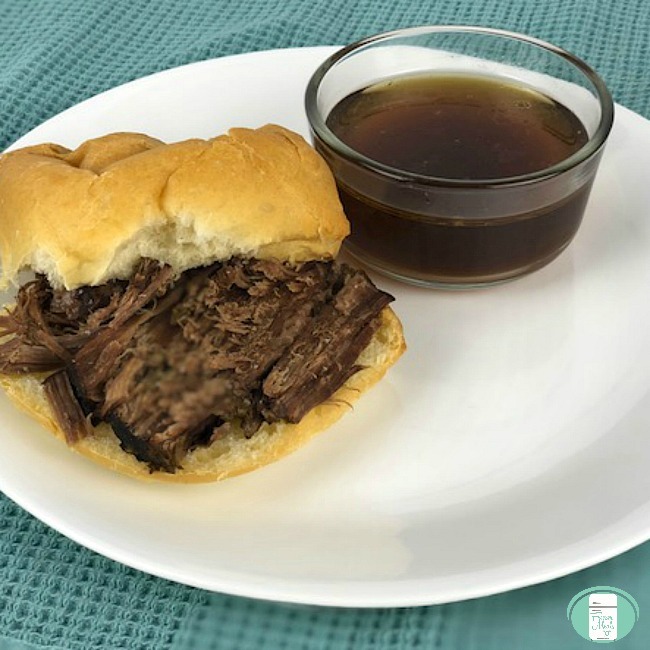 If you are using a slow cooker liner, add it to the slow cooker. They are not necessary, but make clean up so simple. Take the bag out of the freezer to thaw. Cook in the crock pot on high for 3-4 hours. Shred the chicken. 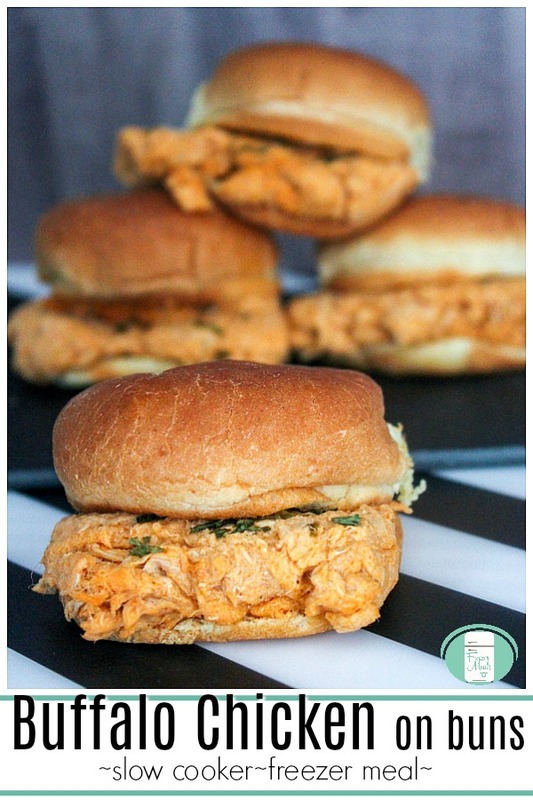 Spoon the chicken mixture onto buns to serve. 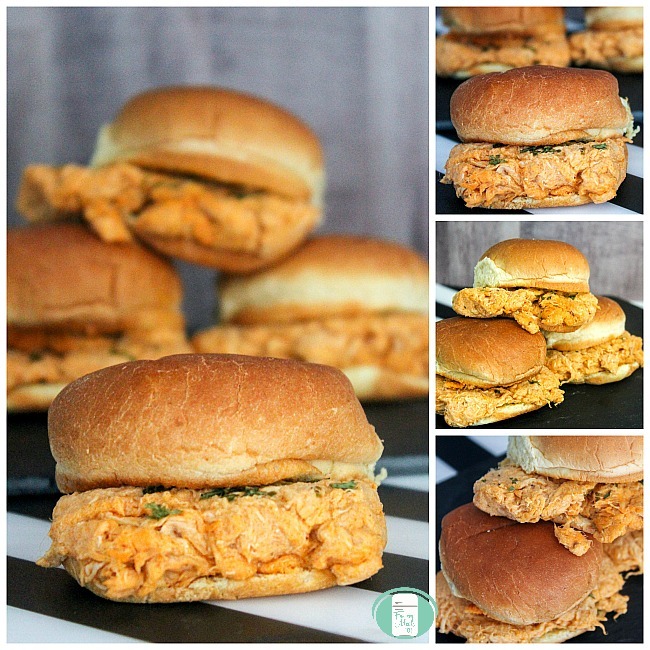 This mixture would also be great for making cute little buffalo chicken sliders to serve at a potluck or Super Bowl gathering or birthday party. It shouldn’t have been a surprise to me how much my kids loved this recipe. They devour my buffalo chicken dip and request that I make it often. 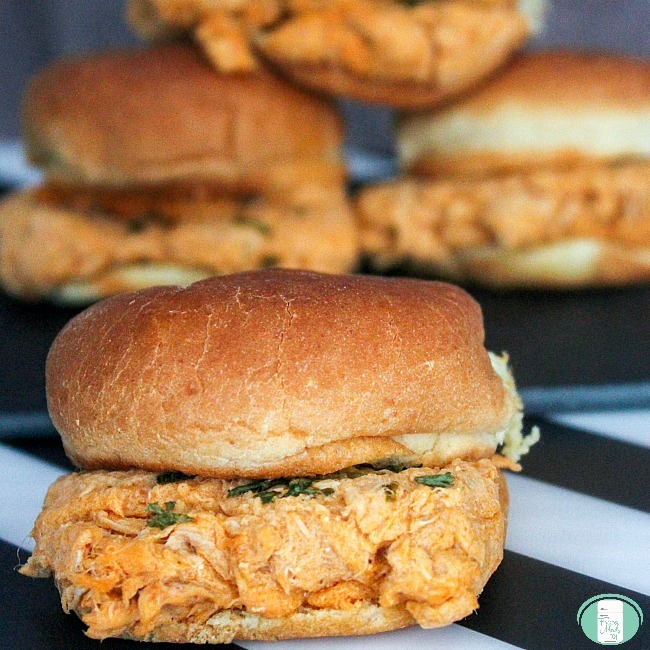 This shredded buffalo chicken has many of the same flavours as the dip does. 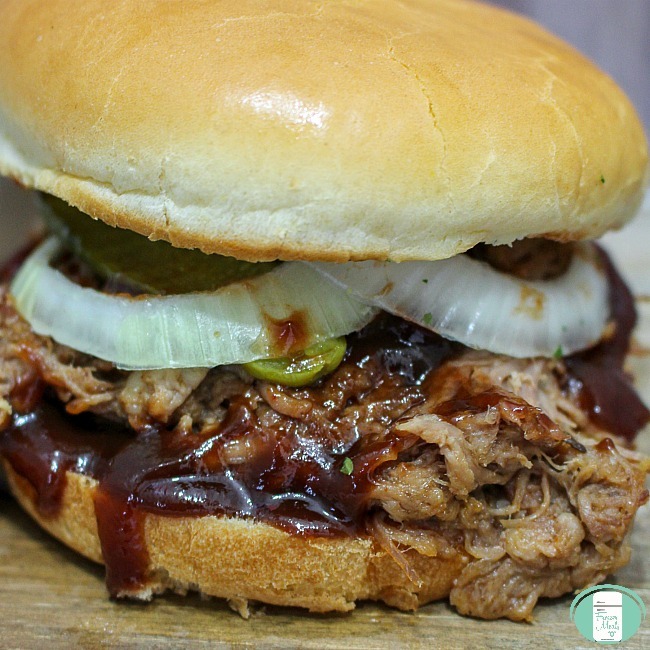 Find more freezer to slow cooker recipes in our Slow Cooker Freezer Meal Plans. It includes recipes, shopping list, and printable labels, making it so easy to get dinner on the table for your family.